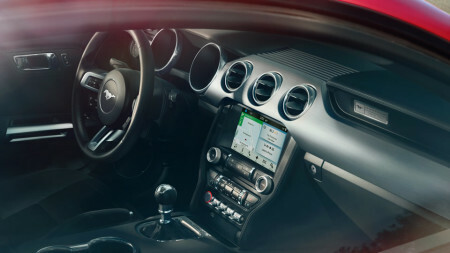 When you decide on a Mustang as your vehicle of choice, you most likely have power and performance on the brain. Lucky for you, the 2017 Ford Mustang doesn’t come with just one incredibly powerful engine option — it comes with four! Each of the engines fits a different kind of driver, so let’s take a closer look now at each option to see which one is right for you. 3.7L Ti-VCT V6 Engine: A 3.7L V6 is nothing to sneer about, especially when it produces up to 300 hp and 280 lb-ft of torque. This entry-level engine will have you pressed against the seat when you push the pedal to the metal. It can be paired with either a 6-speed manual or 6-speed SelectShift automatic transmission with paddle shifters. With the automatic, you’ll get up to 18 mpg in the city and 27 mpg on the highway. 2.3L GTDI I-4 EcoBoost Engine: For the driver who wants to feel the rush but still wants to save at the pump, this 2.3L EcoBoost engine is the best option. It still makes up to 310 hp and 320 lb-ft of torque while earning up to an incredible 21 mpg in the city and 30 mpg on the highway. 5.0L Ti-VCT V8 Engine: For just that little bit more oomph, the 5.0L V8 will have you saying “yahoo!” It delivers 435 hp and 400 lb-ft of torque. 5.2L Flat Plane Crank V8: For maximum power and torque, there’s only one way to go: the Flat Plane Crank V8. It will really give you the thrilling ride you’re looking for with up to 526 hp and 429 lb-ft of torque. A TREMEC 6-speed manual transmission adds to the fun of the drive with precise shifting ability. Launch Control: This system integrates the brakes, traction control, and powertrain control to ensure an effortless and consistent start, no matter the driving conditions. Track Apps: Real-time performance information is displayed through this app right on your in-dash touchscreen. Class-Exclusive Electronic Line-Lock: Launch right out of the gates like the pros with this class-exclusive feature, which keeps the front brakes locked while releasing the rear brakes. It allows you to spin and warm up the rear tires to enhance grip, and you won’t have to balance one foot on the brake and the other on the gas. Selectable Drive Modes: Customize the way you drive by selecting the ideal drive mode, which will adjust your handling and response characteristics to optimize control. 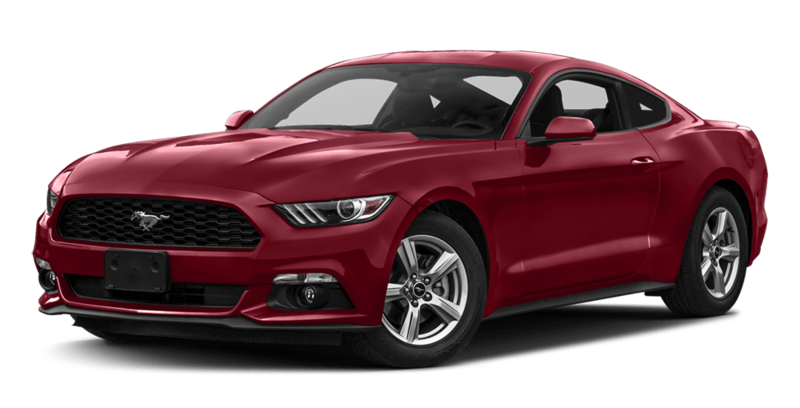 You’ll only be able to tell which engine is right for you by driving the 2017 Ford Mustang for yourself at River View Ford. We invite our Naperville and Oswego customers to stop by to talk shop and to take one of these beauties for a spin around town!